Cover Photo by Alex Orlov. Cover design by Clif Dickens. 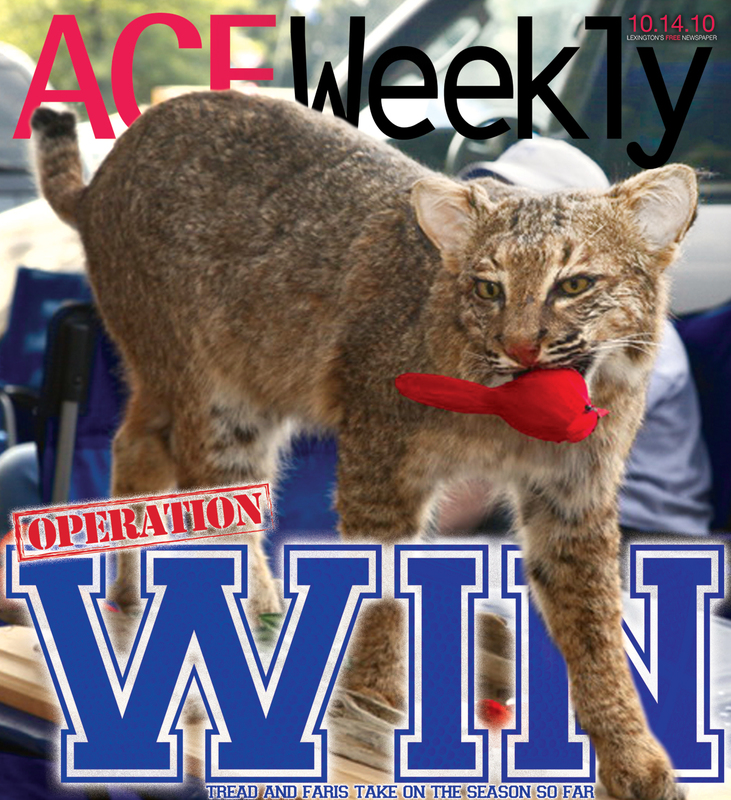 Ace’s October 14 issue is hitting stands now. Grab it while it lasts! In this week’s issue, you’ll find a UK Football coverstory in two parts, by Tread and Kevin Faris. There is a page 4 Guest Opinion by David Schankula on the current Lexington, KY 2010 mayoral race; and a wrap-up by Chef Tom on the James Beard Celebrity Chef Series at the World Equestrian Games. Page 12 is a preview of the October 19 Alejandro Escovedo show at the Kentucky Theatre. Plus, the usual movie times, astrology, classifieds and more. 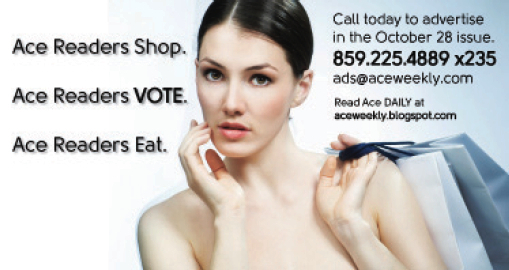 Deadline to advertise in the October 28 issue of Ace, on stands before the election and before Halloween, is Monday, October 18.